UKCAT Free Trial Session - Call us +971 509267126. 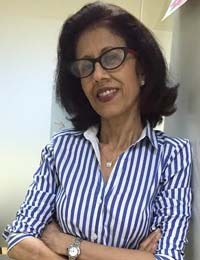 The UKCAT (UK Clinical Aptitude Test) is a 120 minute (2 hour) computer-based test (CBT) which tests cognitive abilities and ethical attitude expected of future doctors and dentists and which medical and dental schools consider as one of the most important examination to assess aspiring medical students. About 27, out of the 34 UK Medical Schools, require the UKCAT as part of their application process and so the importance of the exam is unquestionable. The test is in five sections, each timed separately. The subsections are as follows: Verbal reasoning, Quantitative Reasoning, Abstract Reasoning, Decision Making and Situational Judgement. The initial 4 sections are scored on a scaled score of 300 to 900. However, Situational Judgement section is scored on a band from 1 to 4, with 4 representing the least score and 1, the highest. Students will always get a minute to read the rubric for the Standard UKCAT & more than one minute for the UKCATSEN. However, candidates are not recommended to take a break in between the examination as TIME is a crucial aspect in this test when compared to any other examination. At Option Training Institute, Knowledge village, Dubai, we aim to offer a result oriented UKCAT test preparation through a strategy based prep course. We provide each student with intensive one on one sessions in order to maintain the effectiveness of the training and to work on the individual student’s strength. Since the UKCAT trainers follow Cambridge standards in terms of teaching, we can certainly provide students with the best in- class training with an engaging and productive class environment wherein students appreciate the quality of the knowledge being shared. 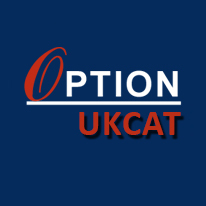 Applicants have to either attempt the regular UKCAT or an extended version of the test –UKCATSEN (for those with a documented ability or disorder). Preparation packages available at Option Institute Dubai for UKCAT test training.